 When it comes to erasing the signs of aging, there’s a range of effective nonsurgical options available at PRP in Philadelphia. Stuart A. Kauffman, DO, in Huntingdon Valley, Pennsylvania, offers a number of nonsurgical cosmetic procedures to erase the hands of time and enhance your natural beauty, including Botox®, fillers, microneedling with platelet-rich plasma (PRP), and treatment for hair loss. To get started on your nonsurgical beauty regimen, call the office or schedule an appointment online today. Botox is one of the most popular nonsurgical cosmetic procedures in the United States because it’s simple and effective. The injection helps reduce signs of aging by relaxing the muscle under your skin to prevent the folding that creates fine lines and wrinkles. Dr. Kauffman uses Botox to improve the look of crow’s-feet and frown lines. The injections only take a few minutes and don’t require any downtime afterward. You should begin to notice an improvement in your appearance within a few days after the injections, and the effects last up to four months. Fillers are another nonsurgical cosmetic tool Dr. Kauffman offers at PRP in Philadelphia to reduce signs of aging and improve your look. As you age, the fat under your skin decreases, which allows the facial muscles to work closer to your skin, deepening lines and wrinkles. Fillers act as replacement fat to plump up the skin. Fillers only take a few minutes to inject and the results are immediate. With good care, you should be able to maintain your look for up to a year. How can PRP improve my skin? If you’re looking for a natural solution to improve the health and look of your skin, PRP may be the way to go. In addition to helping heal wounds and injuries, the proteins and growth factors in platelet-rich plasma also stimulate the production of collagen, the protein that gives your skin its strength and elasticity, for natural rejuvenation. The best part is the results you get after PRP injections are permanent. How can PRP help with hair loss? Dr. Kauffman also uses PRP as a treatment for hair loss. When injected into the portions of your scalp affected by hair loss, the growth factors in PRP increase the growing phase of your hair cycle to improve hair growth and follicle health. To get the best results, you may need a series of treatments set over a two year period. For nonsurgical cosmetic procedures to enhance your natural beauty, call PRP in Philadelphia or schedule an appointment online today.